My daughter has been asking for a lot of baked treats lately, so to avoid being the “mean” mom who always says no, I’m making more of an effort to bake healthy treats with hidden veggies and no refined sugar. 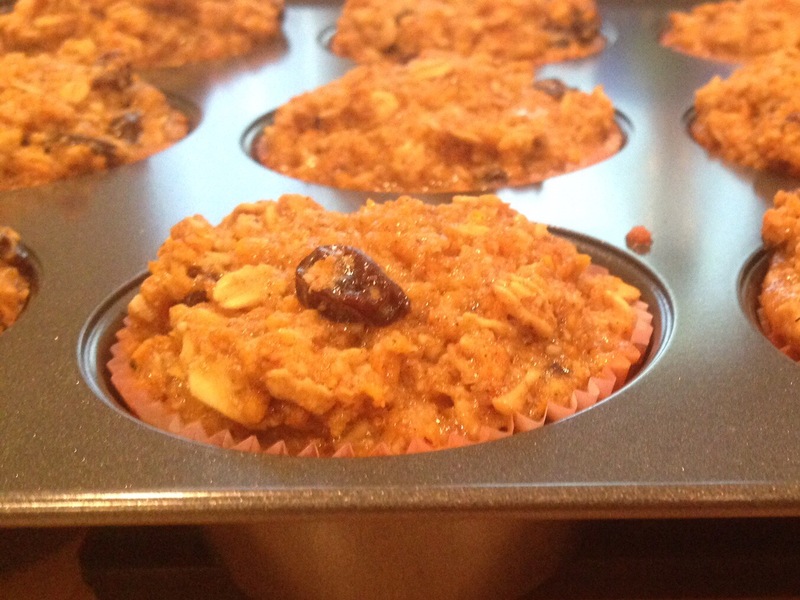 These muffins are a great way of satisfying your kids’ sweet tooth (and yours!) while still getting important nutrients. The honey and coconut oil make them super moist with just the right amount of sweetness. 1. Preheat oven to 350*F. Grease a muffin pan or line with muffin cups. 2. In a medium bowl, combine carrots, coconut oil, honey, and egg. Stir until well combined. 3. In a large bowl, combine oat flour, oats, baking powder, baking soda, cinnamon, nutmeg and salt. Stir wet ingredients into dry until just combined. Stir in optional add-ins. 4. Spoon mixture evenly into muffin pan. Bake for 25-30 mins, or until a toothpick inserted in centre comes out clean. Cool for 10 mins in pan. Remove and cool on rack. Living A Healthy Lifestyle Is Not Extreme, But The Consequences Of An Unhealthy Lifestyle Are. Don’t Ignore A Food Intolerance!